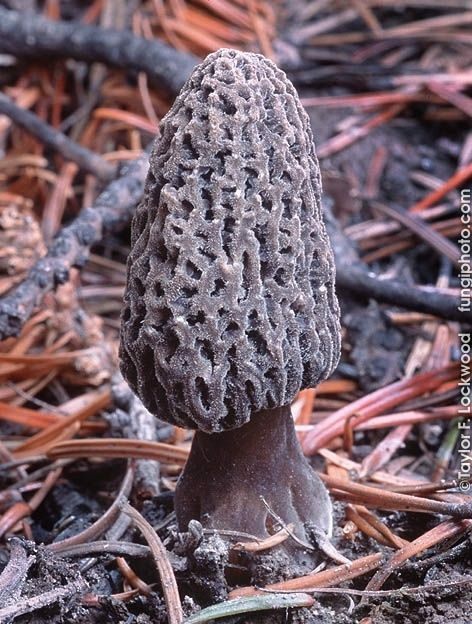 Morchella tomentosa is a distinctive morel found in conifer burn sites in western North America (and possibly elsewhere; see the comments below). When young, its cap and stem are densely covered with fine hairs--and the result is often a morel that looks as if it has been dipped in fuzzy soot. 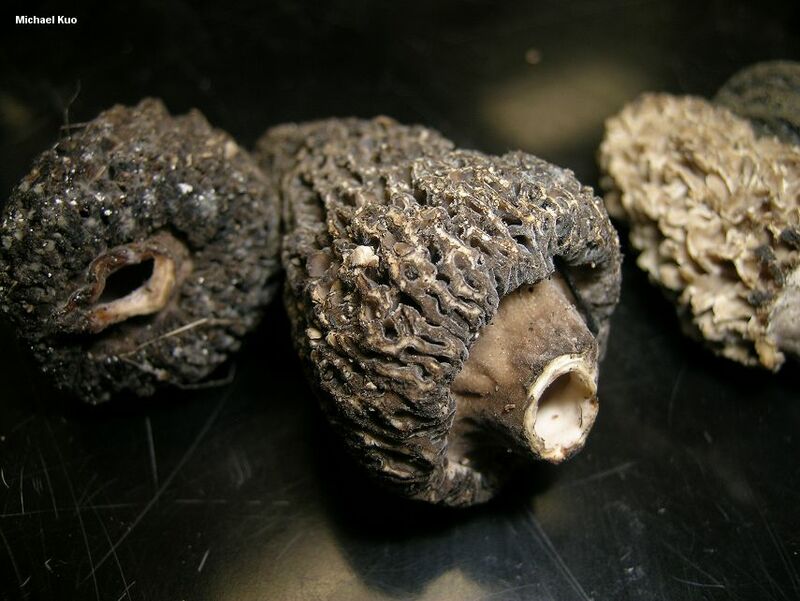 With age, however, Morchella tomentosa can become gray, brownish, yellowish, or even whitish--especially when it is exposed to direct sunlight. 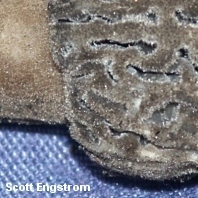 Thus, while young, black specimens are unmistakable, older specimens can look like several other types of morels, and are best identified with a microscope; even after the tiny hairs have lost their pigment to the naked eye, they are still plentiful and brown-pigmented when viewed in a potassium hydroxide mount. Commercial mushroom collectors in the western mountains are very familiar with Morchella tomentosa, which they call the "gray morel" (not the same thing as the "gray morel" known to collectors in the Midwest and eastern North America, who use the term for immature forms of yellow morels like Morchella esculentoides). 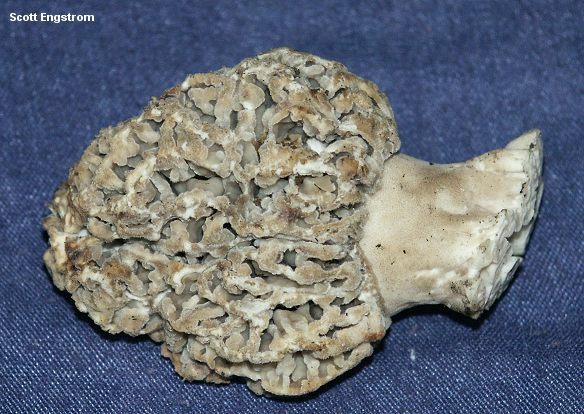 The name "Morchella atrotomentosa" has been applied to the species described here by McKnight & McKnight (1987)--but this name is invalid for several reasons (see Morchella atrotomentosa for details), and represents a European mushroom that may or may not be the same. 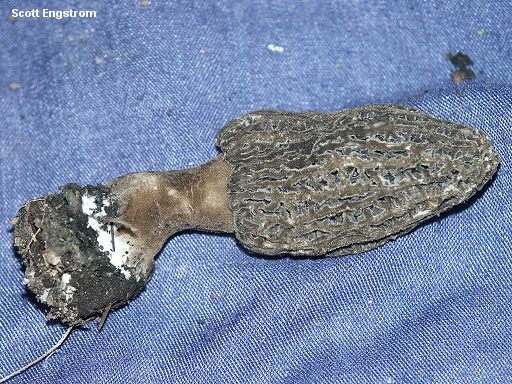 I have seen photos of an apparent match for Morchella tomentosa collected in Michigan's Upper Peninsula in 2008, from a jack pine burn area. However, the collector did not preserve a specimen for scientific study, so the collection cannot be documented. Ecology: Possibly saprobic and mycorrhizal at different points in its life cycle; growing alone, scattered, or gregariously in burned conifer forests, primarily in the spring following the fire (but sometimes appearing in dwindling numbers for a few years thereafter); usually appearing at high elevation; spring (accounting for elevation); Colorado to northern California and Alaska. 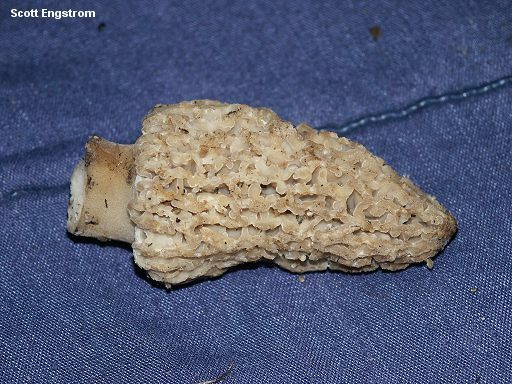 Cap: 3-11 cm tall and 2-5 cm wide; egg-shaped or nearly conical; pitted and ridged, with the pits and ridges typically densely packed when young, stretching with maturity and developing vertical orientation; when young with gray to nearly black ridges and pits that are densely fuzzy; when mature often developing grayish, pale tan, yellowish, or even whitish pits and ridges; completely attached to the stem; hollow. Stem: 2-6 cm high and 1-4 cm wide; often swollen at the base; when young dark gray to nearly black, and densely fuzzy; with age becoming pale (whitish to yellowish or grayish), usually with stretched-out brownish patches of remaining fuzz; hollow. 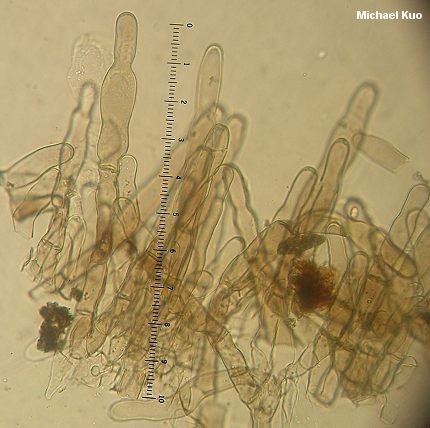 Microscopic Features: Spores 18-20 x 8-12 µ; smooth; elliptical; without oil droplets; contents homogeneous. Asci 8-spored. Paraphyses cylindric to subclavate, with rounded or subacute apices; septate 2-5 times; hyaline or brownish in KOH. Hairs on sterile ridges and stem surface abundant; variable in shape; to 275 x 17 µ; with brown walls in KOH. SPECIMENS EXAMINED: Herb. F. 06100102, 06100103, 06100104, 06100105, 06100106, 06100107, 06100110, 08310301, 04070402, 05300402, 06040401 , 06150402 (isotype), 06150403 (isotype), 06150405 (holotype), 06150406 (isotype), 06150407 (isotype), 06150409 (isotype), 06150411 (isotype), 06170402, 06180401, 06180402, 06180403, 06180404, 06180405, 06180406, 06180407, 06180408, 06180409, 06180413, 06180414, 06180415, 06180420, 06180421, 06180423, 06190401, 06300401, 06300402, 06300403, 06300404, 06300405, 06300406, 06300408, 07010401, 07010402, 07010403, 07010404, 07070402, 07070403, 07070407, 07130401, 07130402, 07130406, 07130407, 07130408, 07130409, 07140401, 07140402, 07140403, 08070403, 08070404. Herb. Kuo 07060802. Kuo, M. (2012, October). 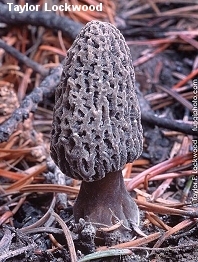 Morchella tomentosa. 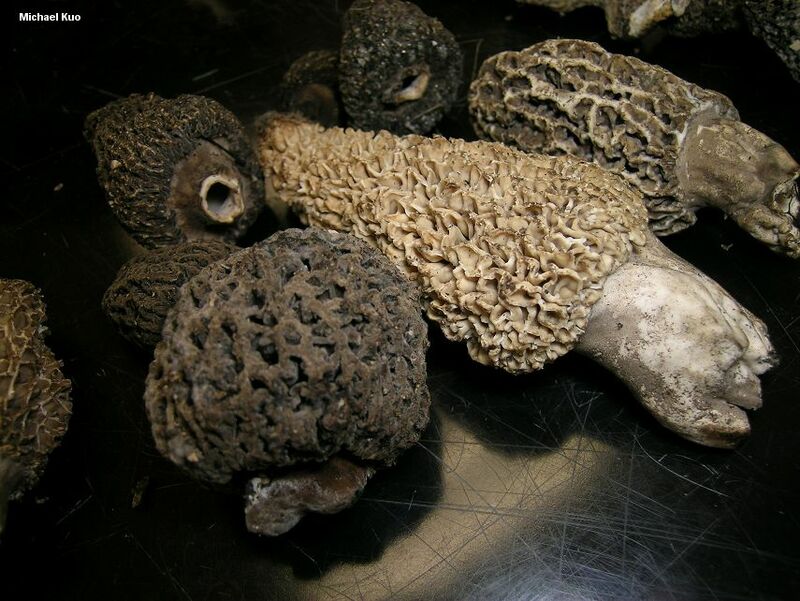 Retrieved from the MushroomExpert.Com Web site: http://www.mushroomexpert.com/morchella_tomentosa.html.